Xi'an, Northwest China's Shaanxi Province is one of the oldest capitals in China, and has captured the hearts of international travelers. Their visits have brought about the pursuance of a world-class lifestyle that draws in international five-star hotels that find their place in this ancient city. On January 25, the hotel welcomed Singaporean singer Tanya Chua. 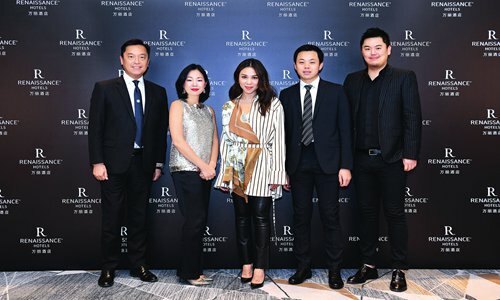 Following her recent travels to Paris, Chua continued her partnership with Renaissance Hotels and redefined the brand's signature Evenings at Renaissance program by showcasing her inspiration for travel and gastronomy with songs and music. Also at the event, Chua shared her experience as part of an online Travelogue show "Sweet Tooth," which captures her journey of uncovering different neighborhoods around the romantic French capital and where she features her discoveries. "Sweet Tooth" was released online earlier this month on China's popular Xigua Video. The show also featured music from Chua's latest album. "We are delighted to continue our collaboration with Tanya Chua because she truly represents the spirit of discovery that is at the heart of the Renaissance Hotels brand," said Andy Kong, brand and marketing director, Asia Pacific, Marriott International. "We hope to continually inspire our guests, and be wherever they go."